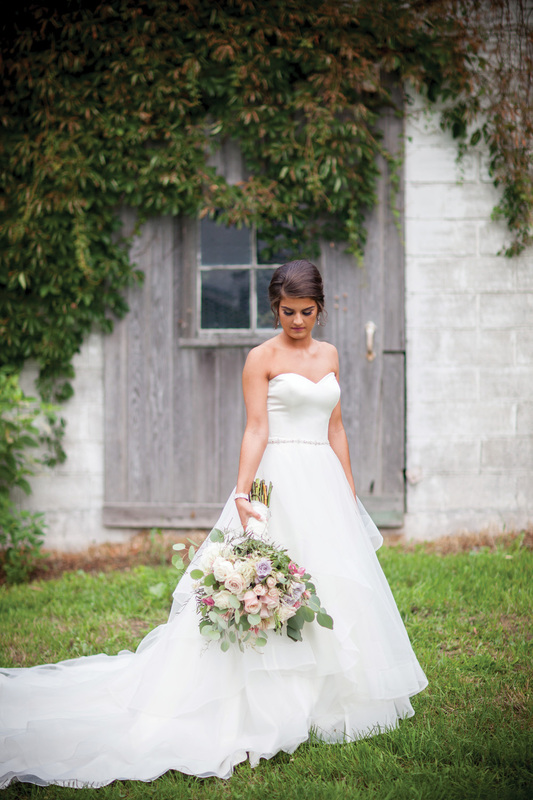 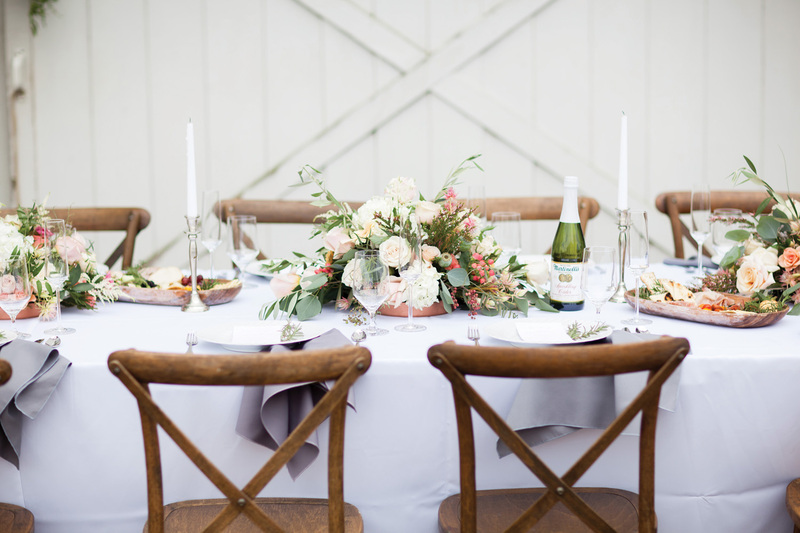 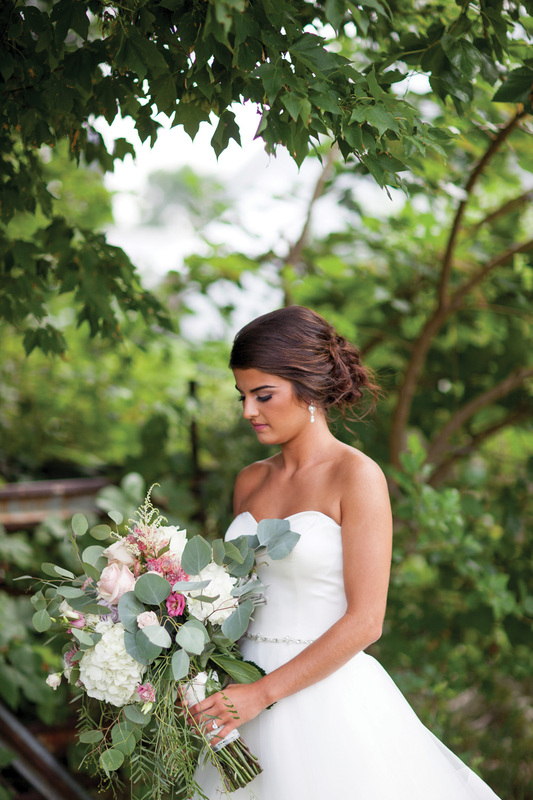 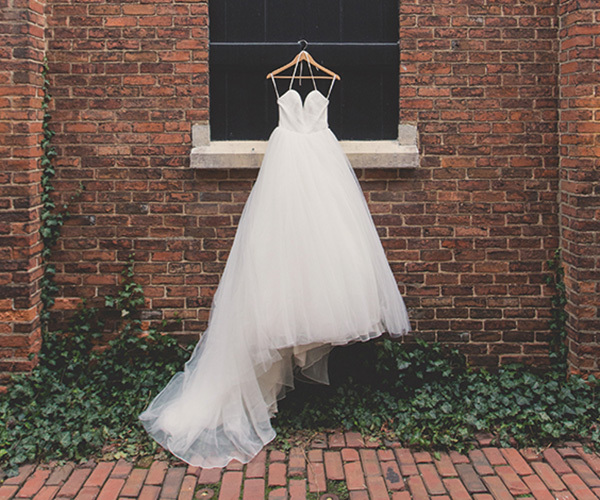 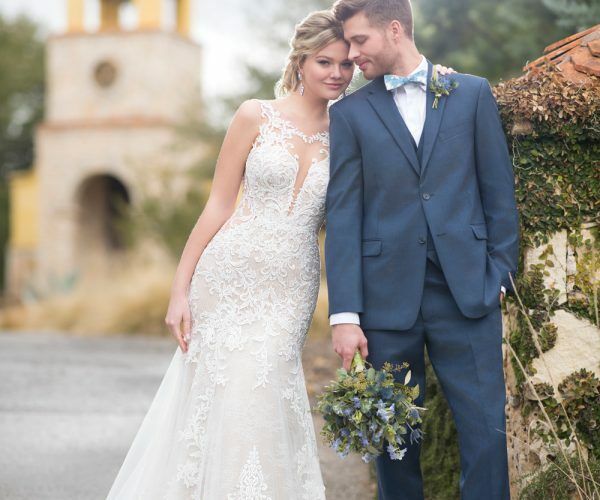 Inspired by the gorgeous property and barns at St. Joe Farm, Simply Be So, along with Abbitt Collective, designed and styled this shoot to show off all of its beauty. 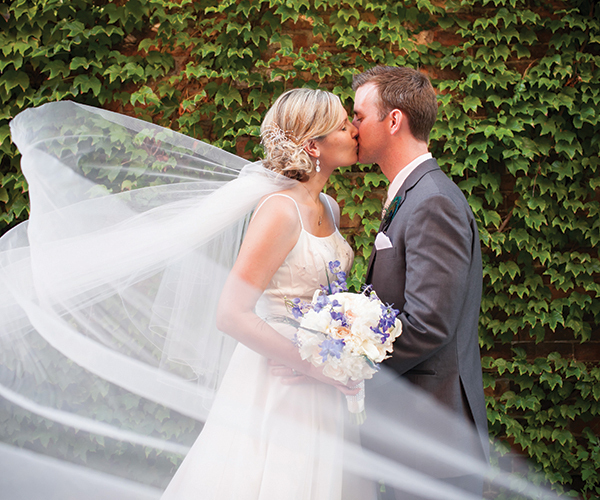 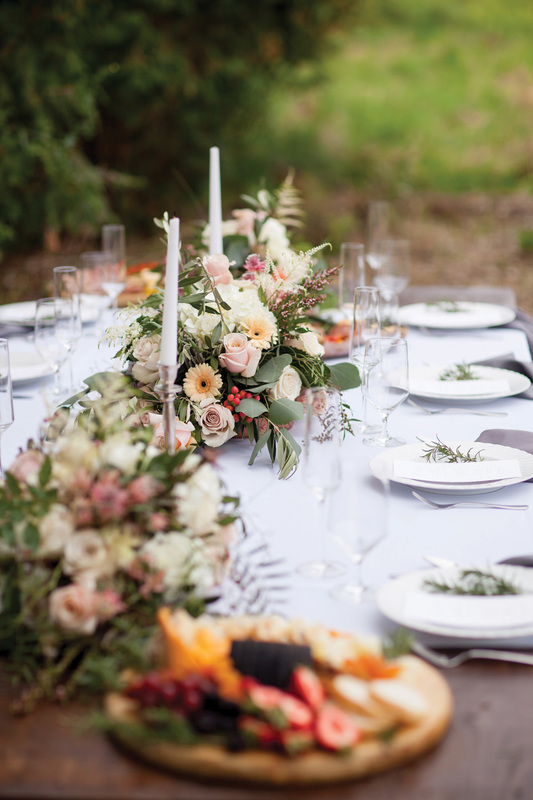 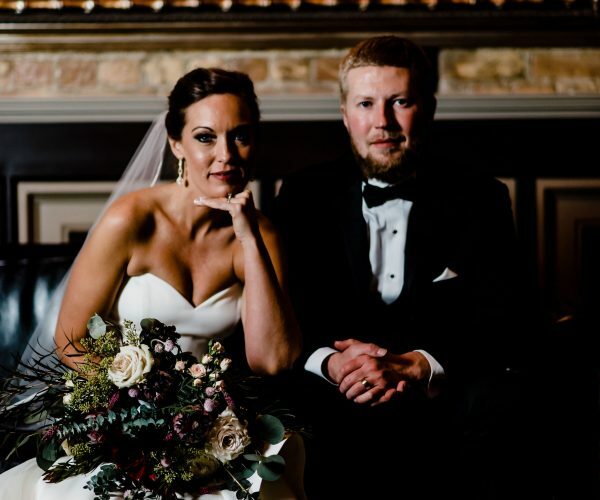 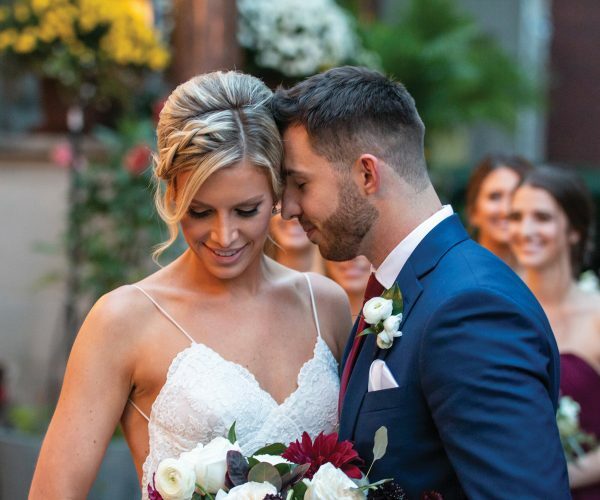 The theme for this stylized shoot was created by Simply Be So Events to encapsulate the joy of friends and family coming together around the table for a fall wedding in the Midwest. 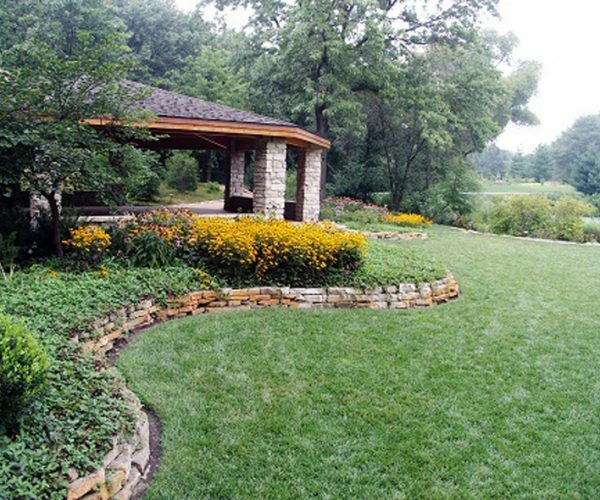 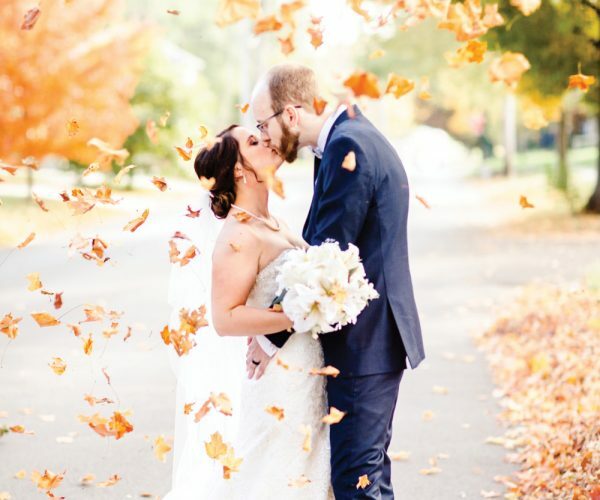 Fall, crisp, gather and warmth are all words that describe this beautiful shoot so well. 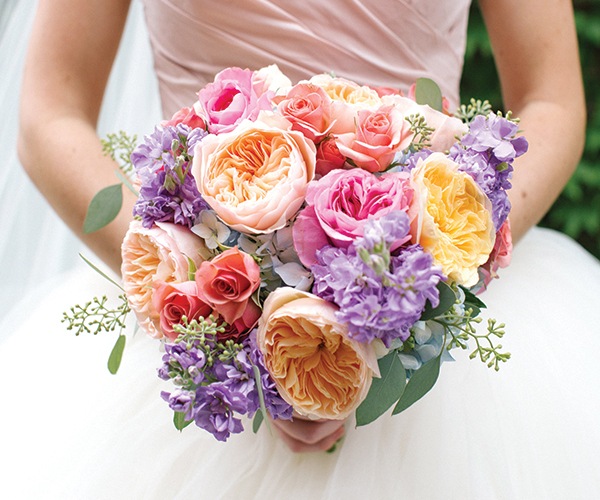 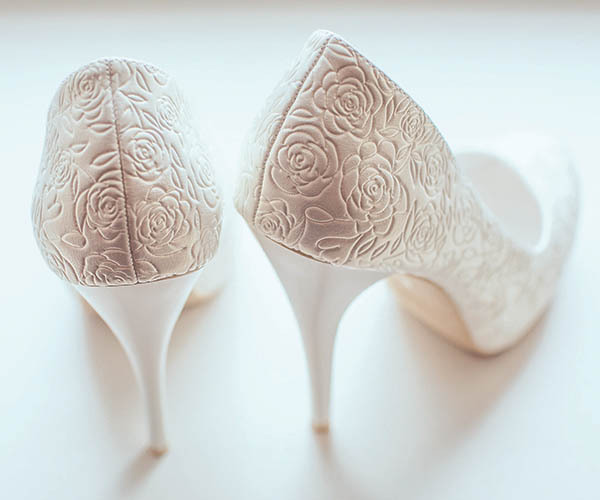 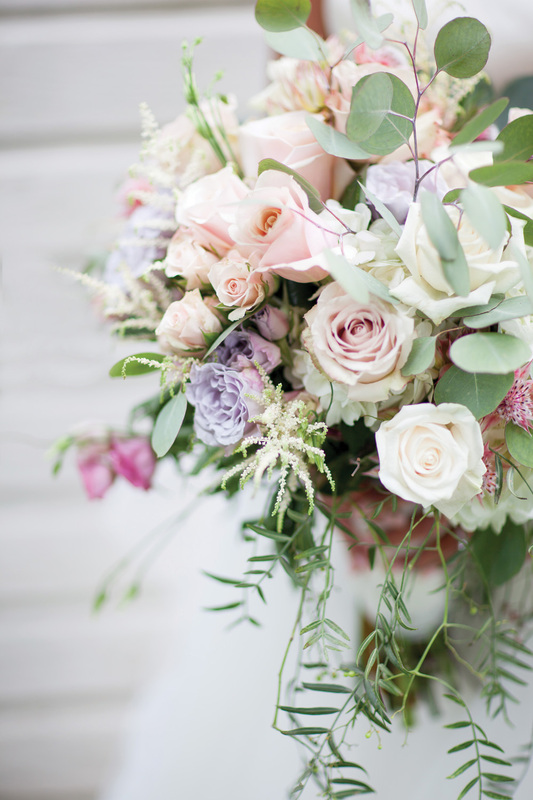 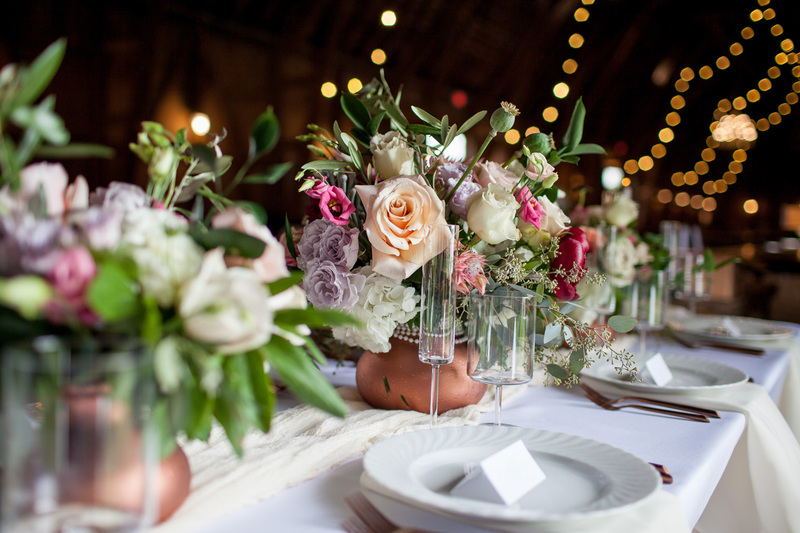 Matzke Floral created several stunning floral pieces using a variety of sandstone, sahara, vandella and early grey roses, bridal veil protea, lydia and white astilbe to name a few. 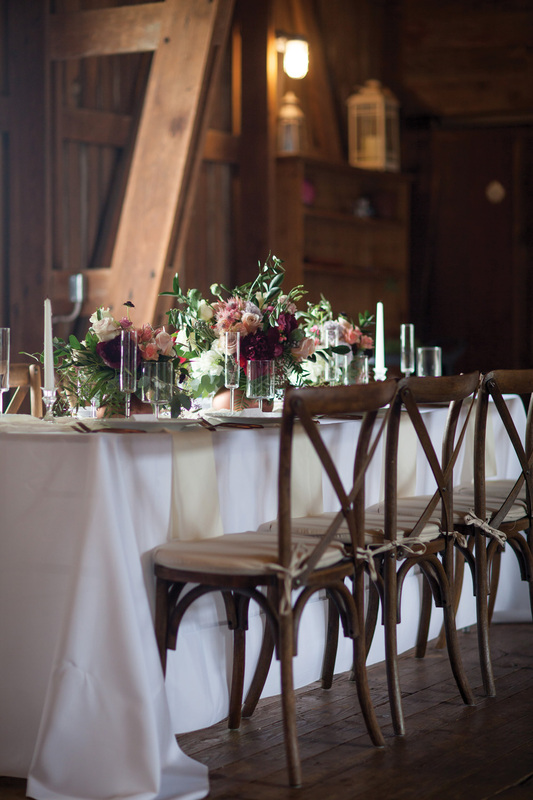 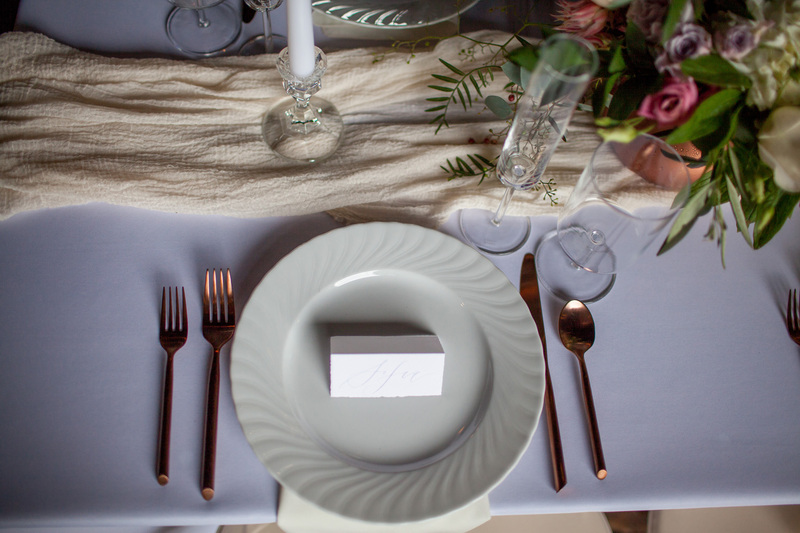 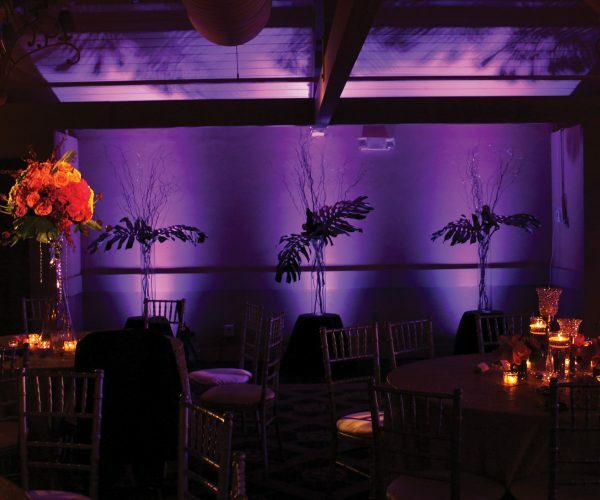 We loved their use of copper vases on the barn tablescape to perfectly complement Burns Rentals copper flatware. 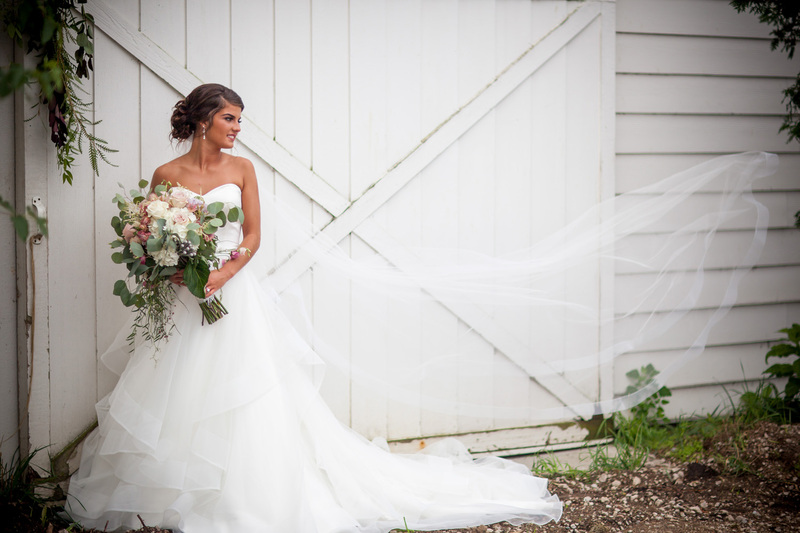 OMG Photography captured this fall farm themed shoot perfectly along with gorgeous photos of our bride. 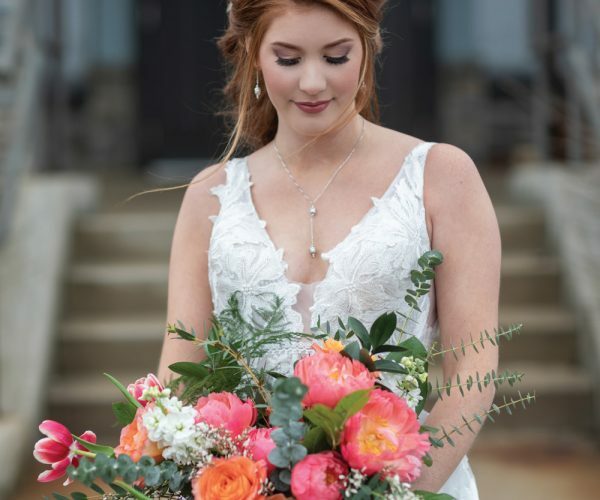 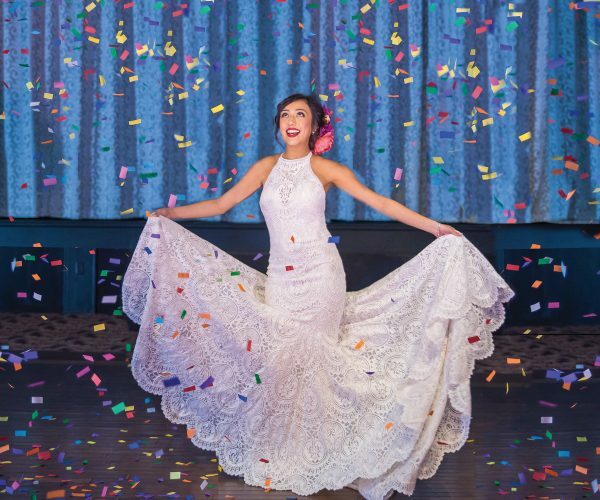 Skylar, our model, looked so charming in her gown from Elegant Designs. 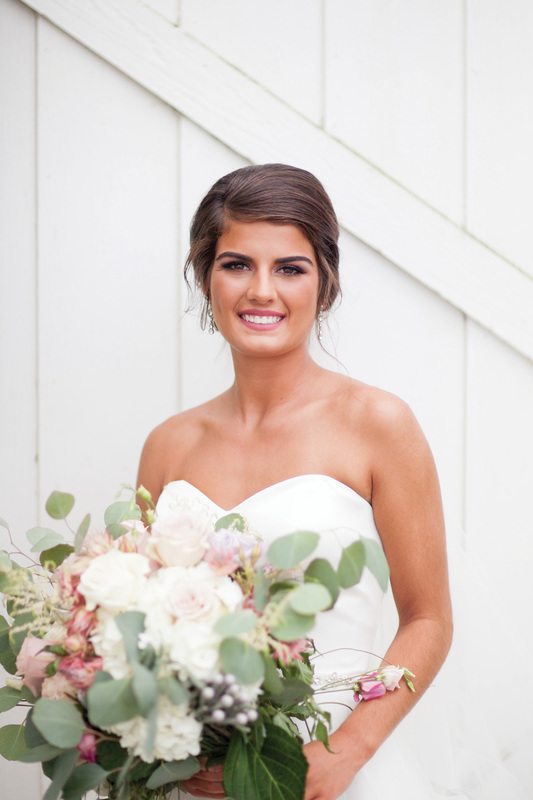 Her softly swept updo created by Marissa at L& M Hair Design along with her natural bridal makeup perfected by Ashley Troxel are such a sweet look for a fall wedding day. 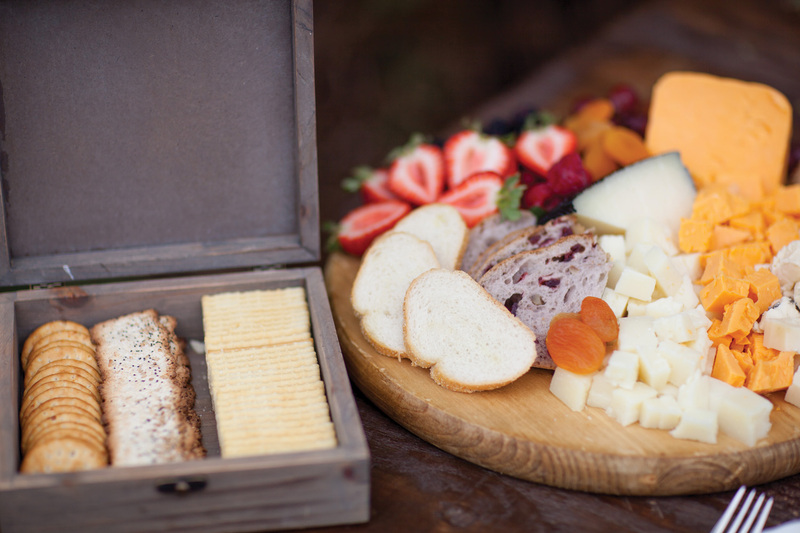 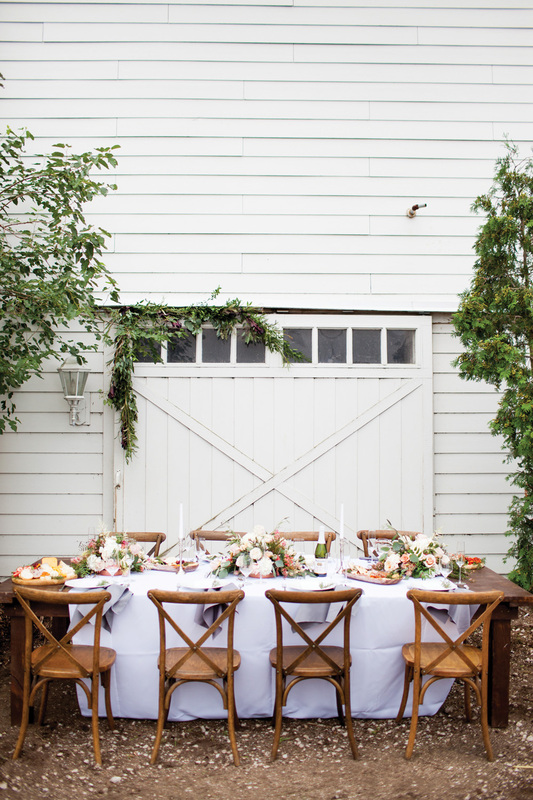 This outdoor tablescape is a fun idea for fall (and summer) weddings. 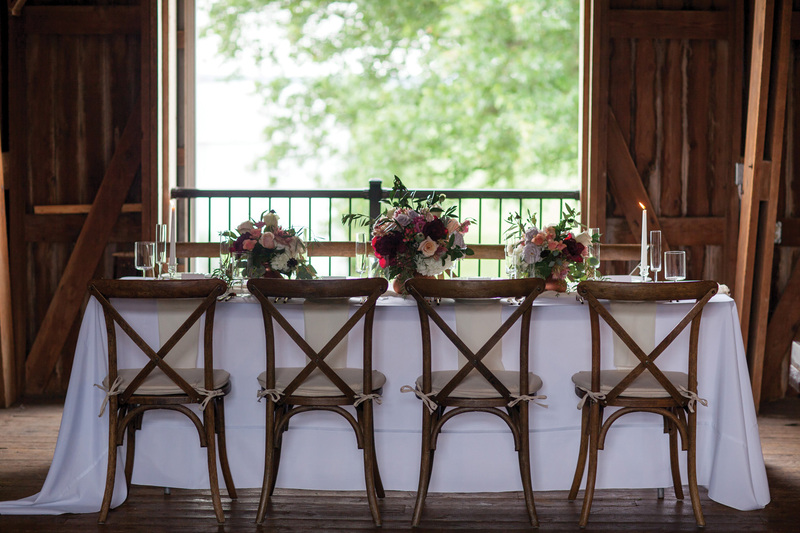 If you’re having an outdoor wedding try using great pieces like these wood chairs from Burns Rentals or rustic farm tables to naturally blend into the already beautiful outdoors. 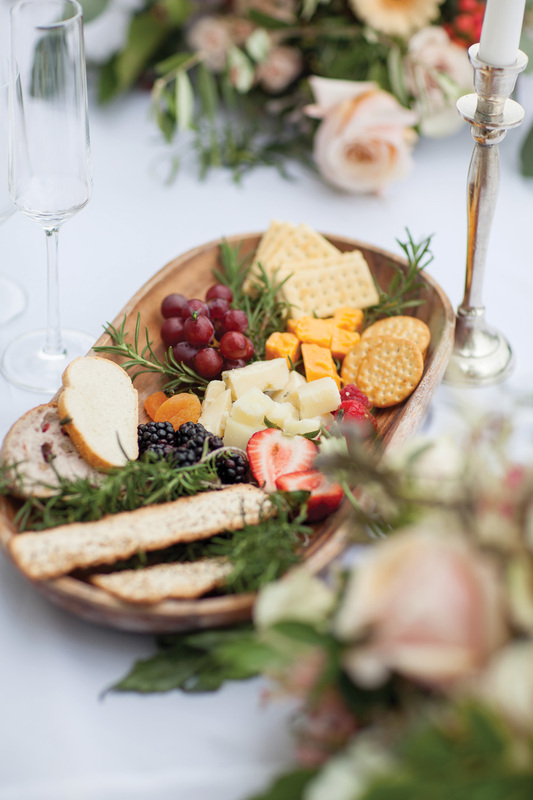 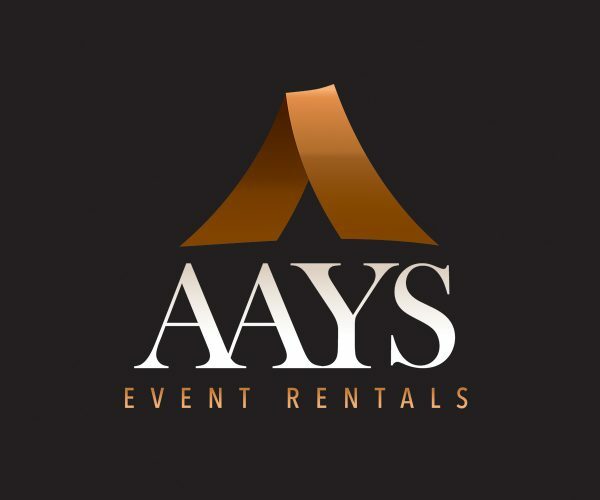 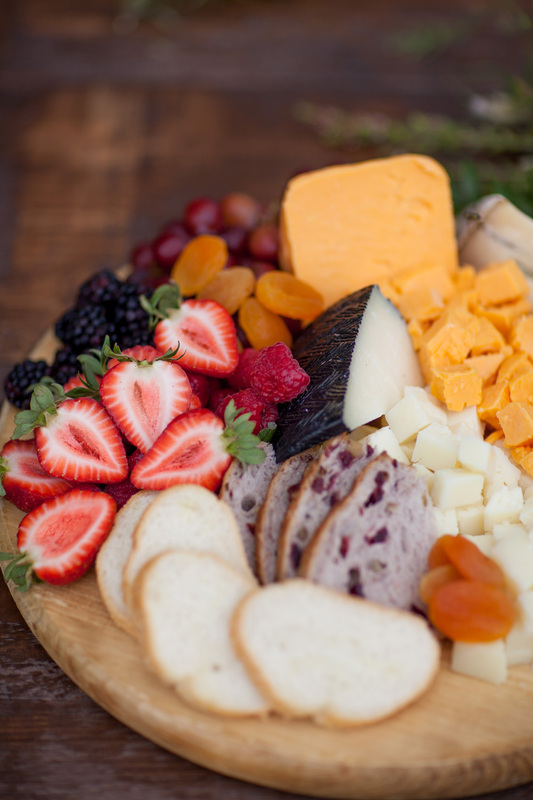 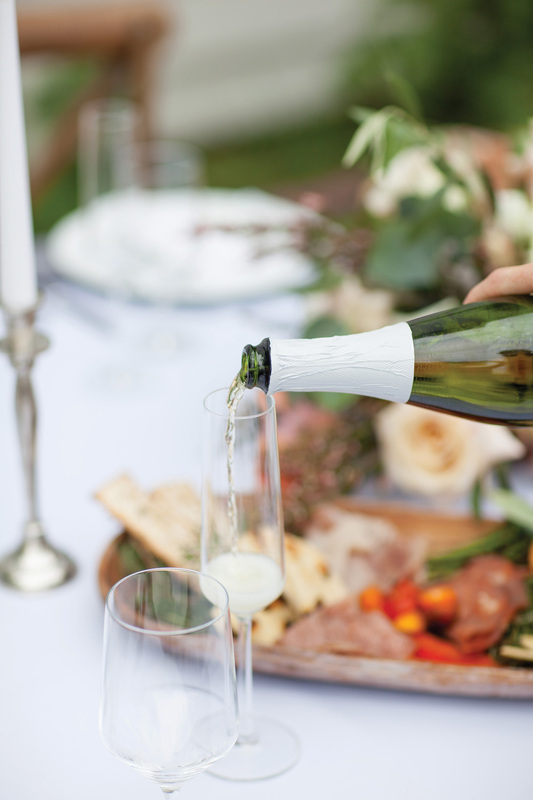 We love the concept of having your friends and family come together and share delicious food and wine similar to what Navarre Catering & Events provided here. 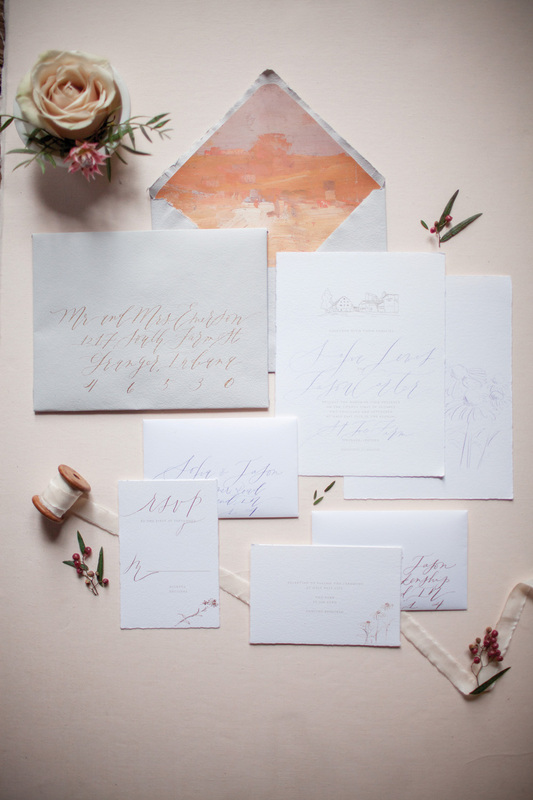 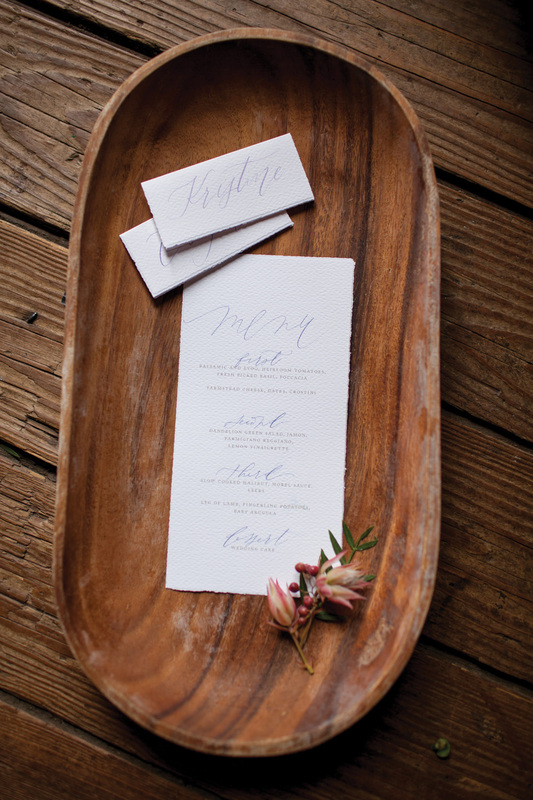 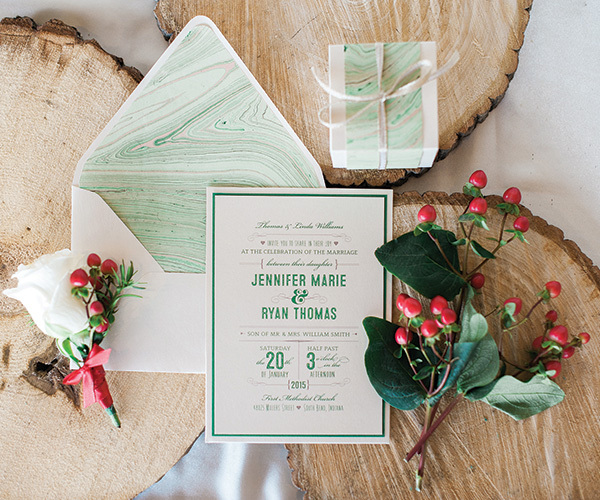 Kelsey Malie Calligraphy designed this simply elegant stationery with St Joe Farm in mind. 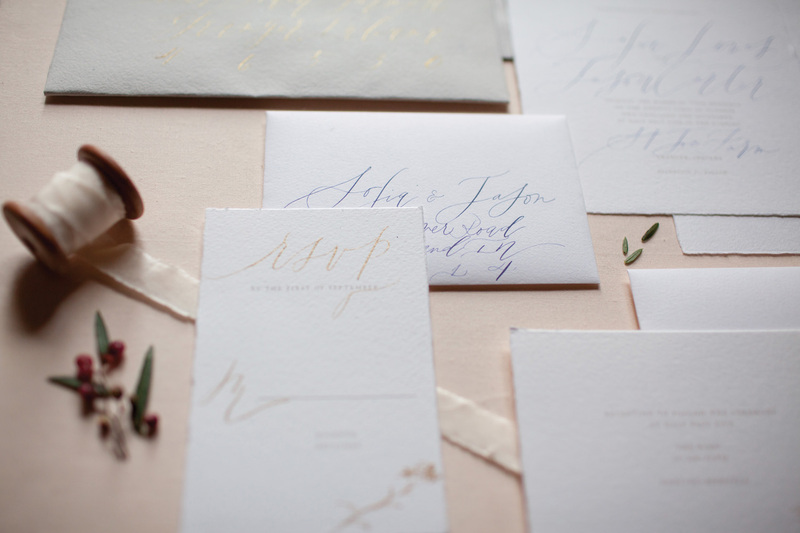 Calligraphy and unique design make your stationery stand out and really create the feel for your special day. 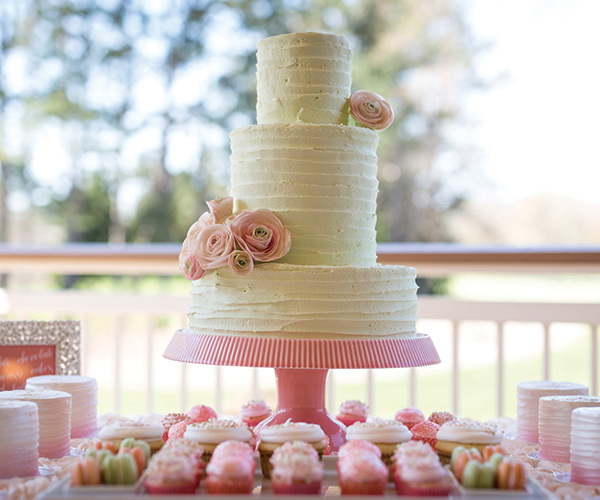 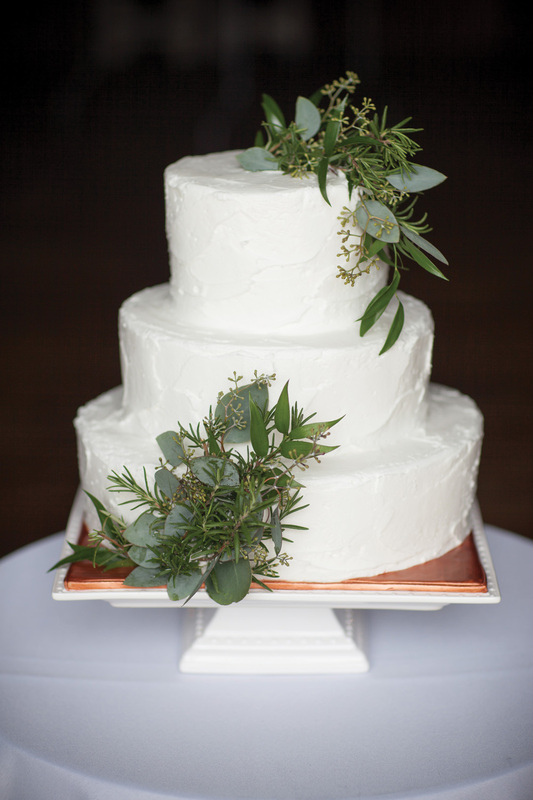 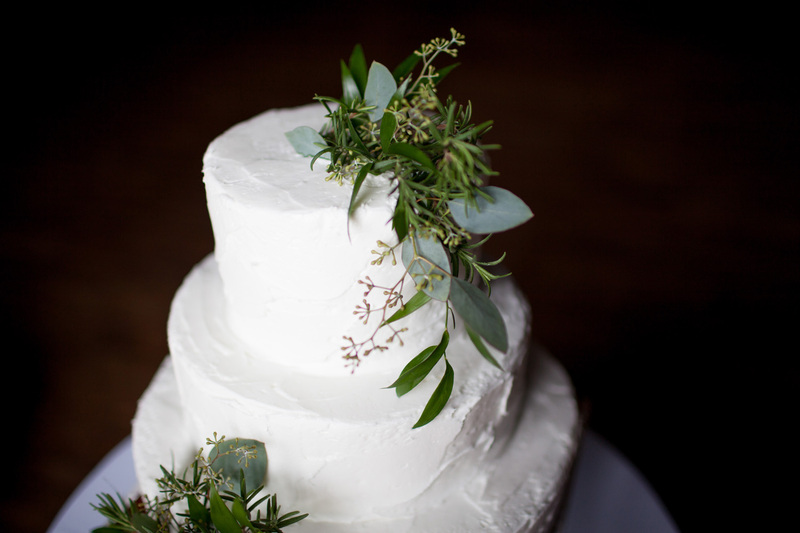 Sweet Em’s Cake Shoppe created this simple, white textured wedding cake that was the lovely accent for the simple and elegant theme.